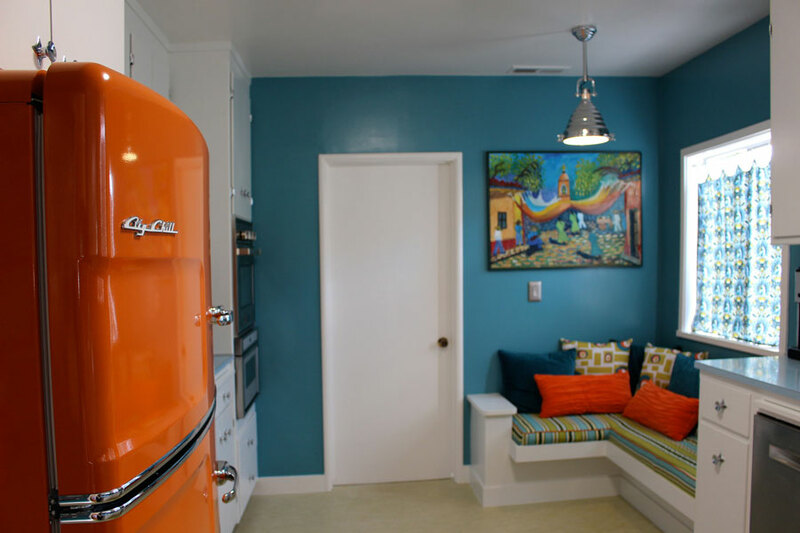 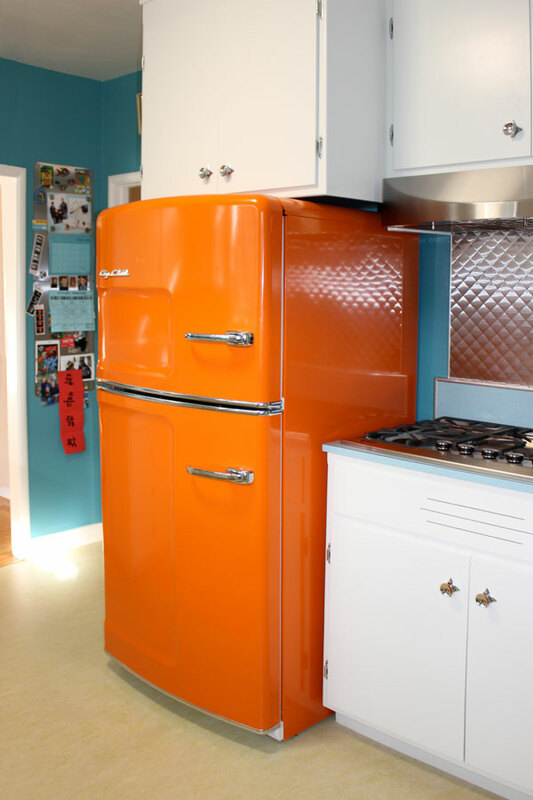 When I first walked into this funky Albany kitchen, I held my breath. 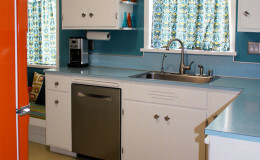 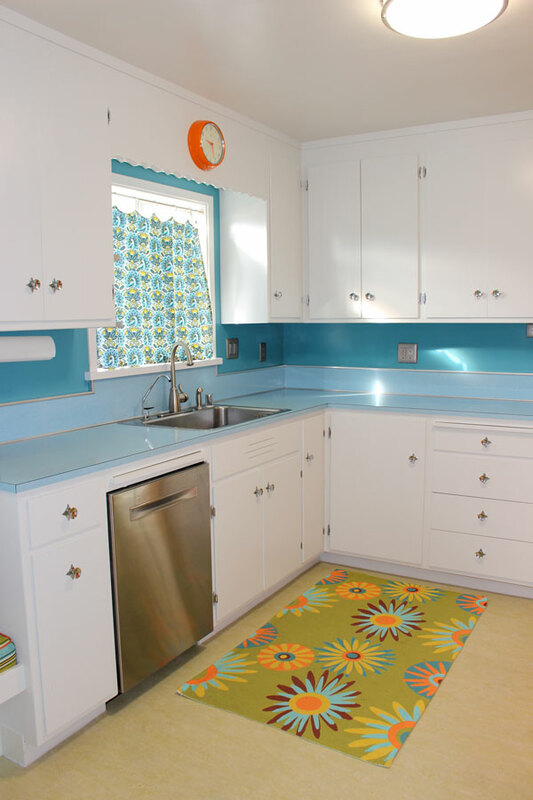 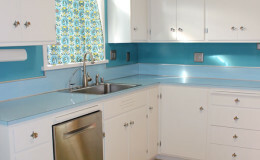 The 1950s boomerang pattern Formica counters were in pristine condition. 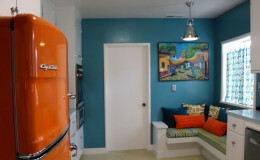 As luck would have it, my clients were game to keep them intact! 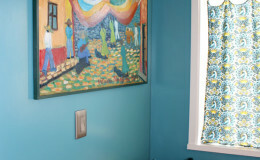 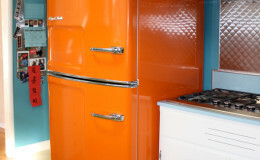 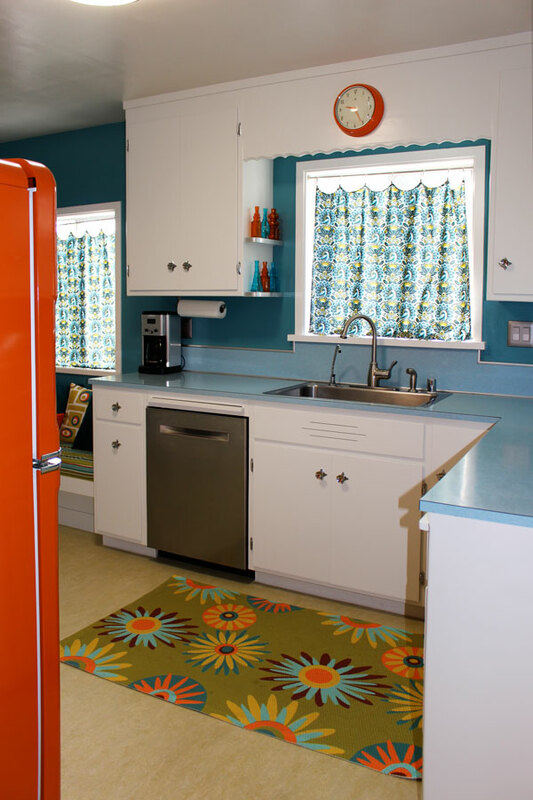 Drawing a color palette from the existing curtains, we replaced the floors with durable Marmoleum, lightened the overall look with crisp white paint on the cabinets, and- the piece de la resistance- brought in a retro orange fridge. 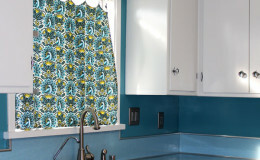 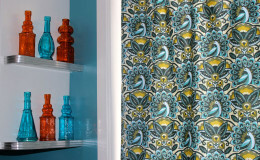 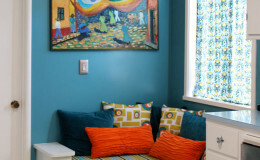 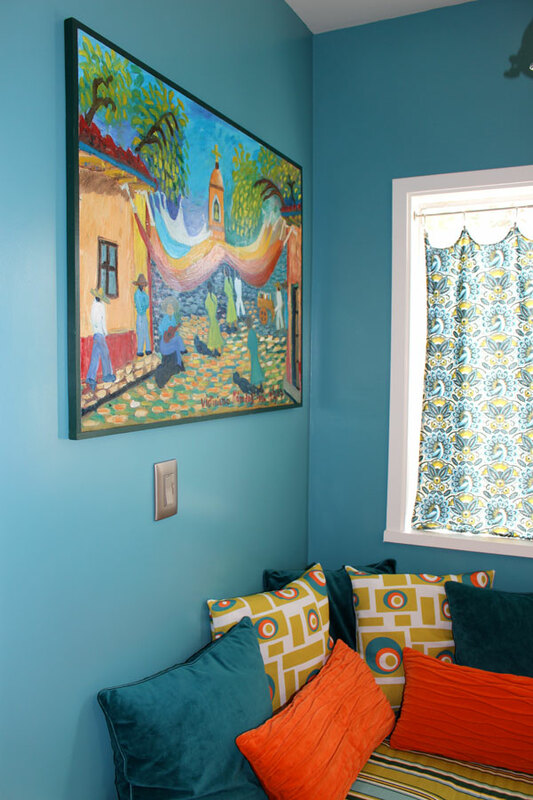 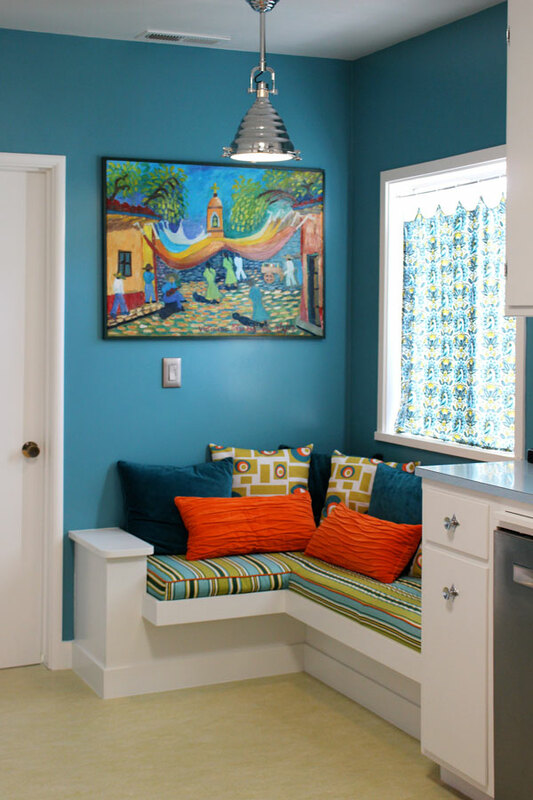 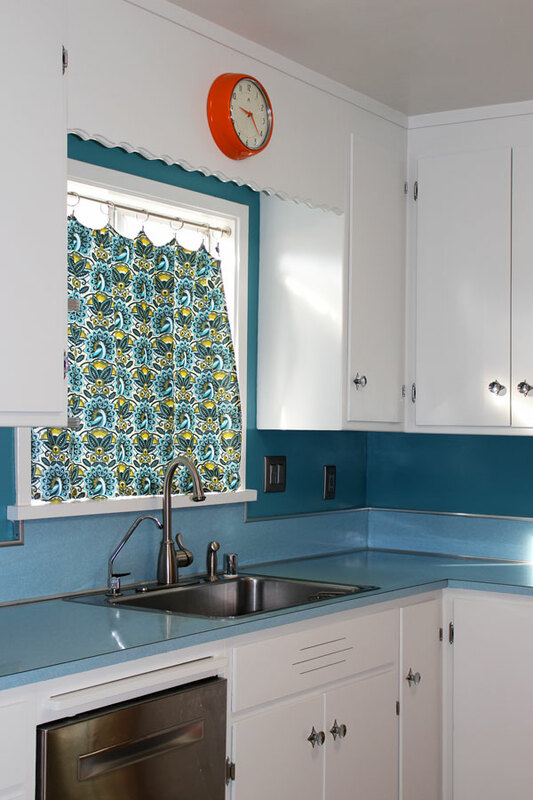 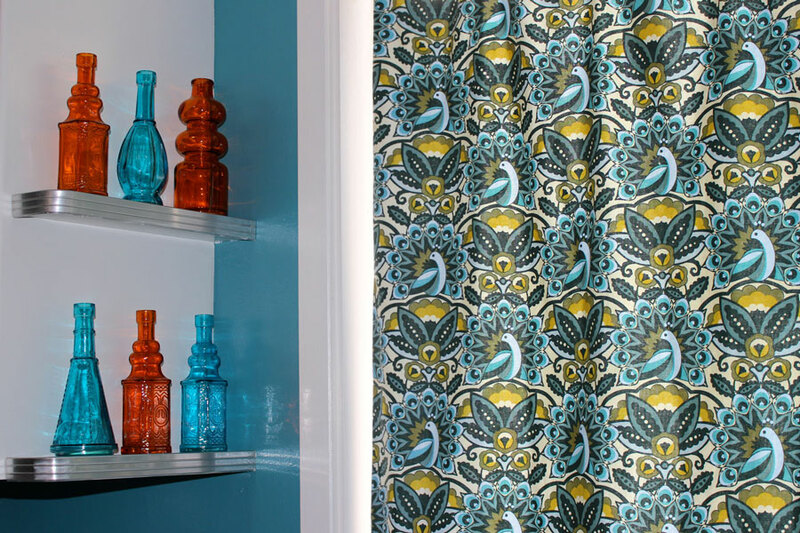 Colorful accent fabrics tie it all together with the owner’s favorite painting; period lighting, Atomic era knobs and a vintage-style clock continue the nostalgic vibe.